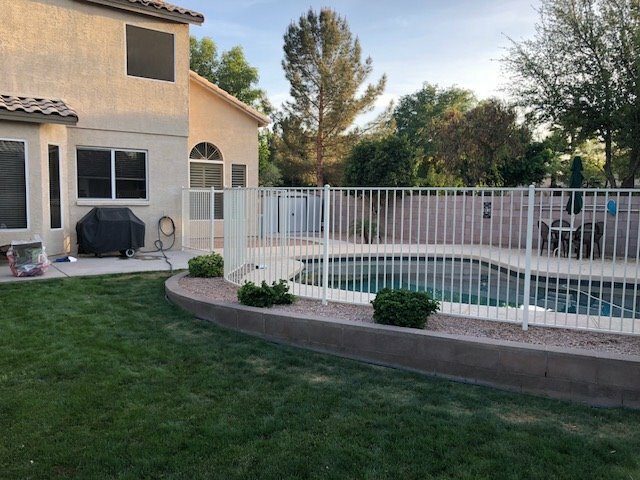 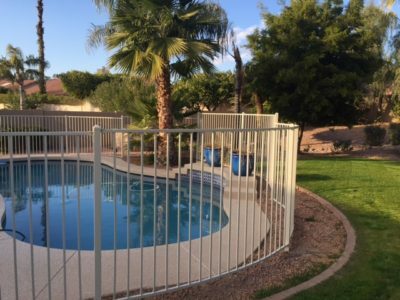 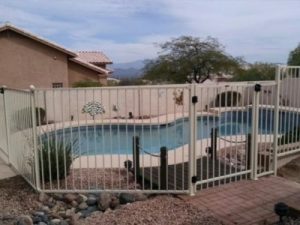 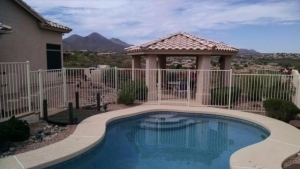 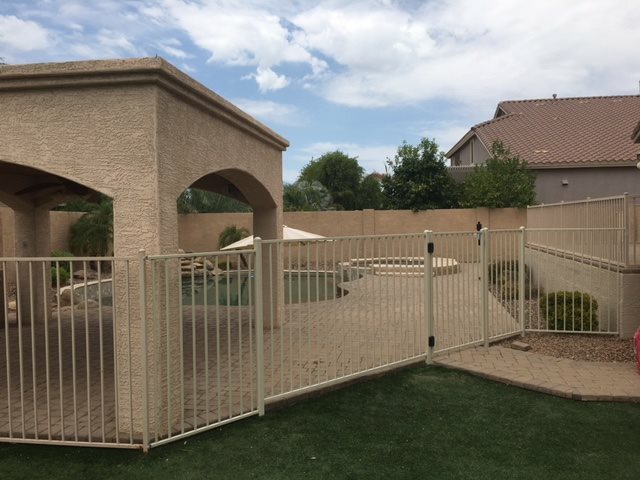 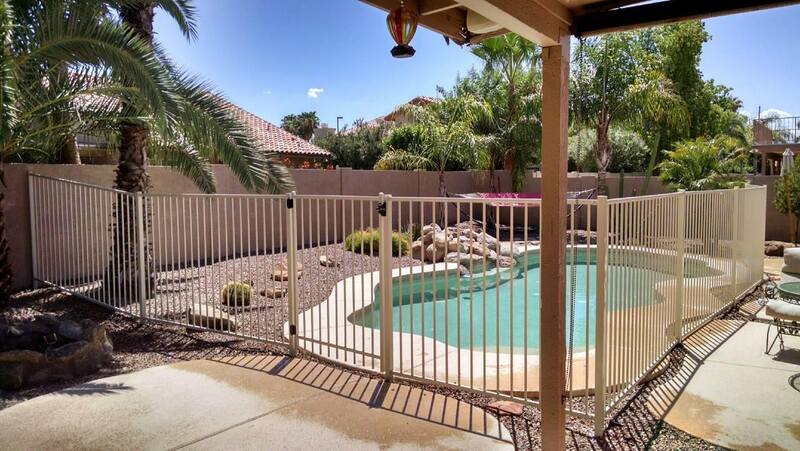 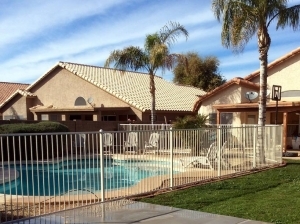 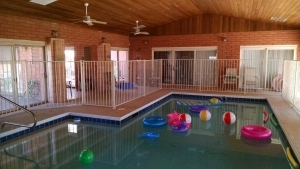 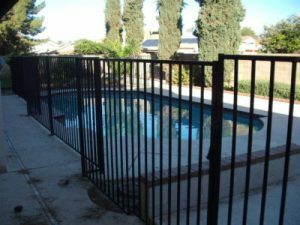 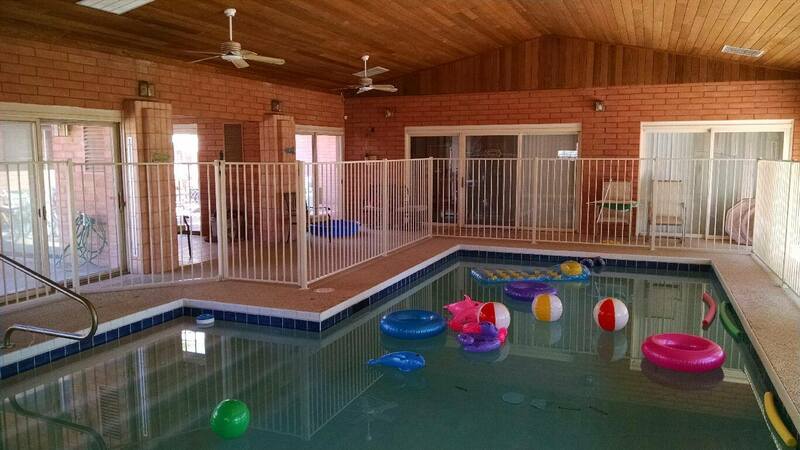 Arizona Pool Fence offers wrought iron fencing which comes galvanized/powder coated as standard. 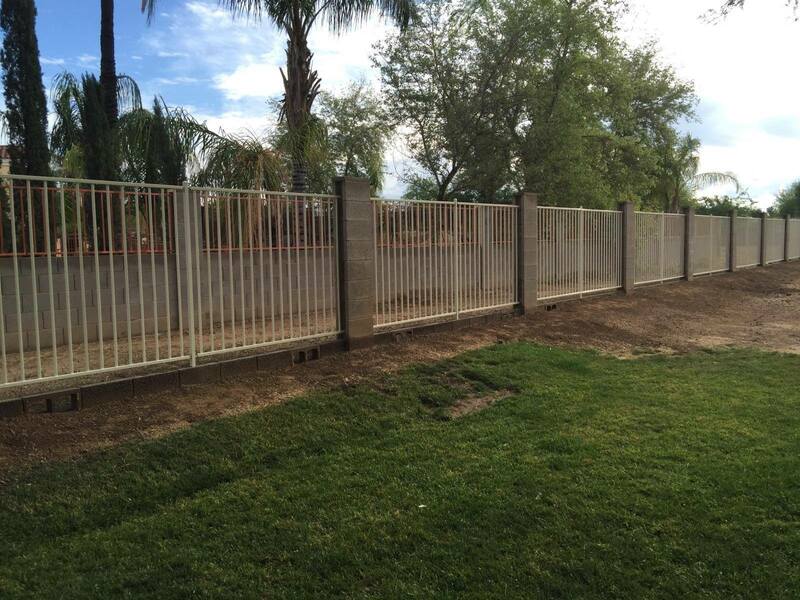 We carry black, brown and beige in stock, all other colors available but require longer lead times for color matching. 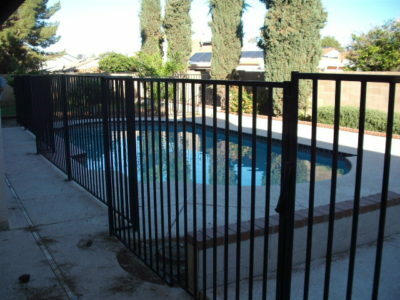 Standard in-house height is 5 feet, however, custom heights are available. 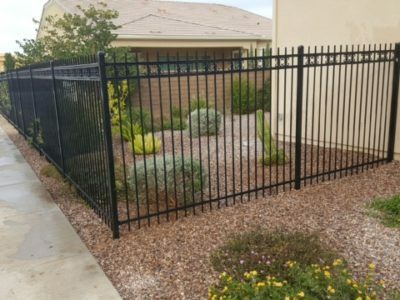 Whether you chose iron fence or mesh fence, both work great at protecting children. Iron fencing does tend to be more expensive than mesh in most cases. 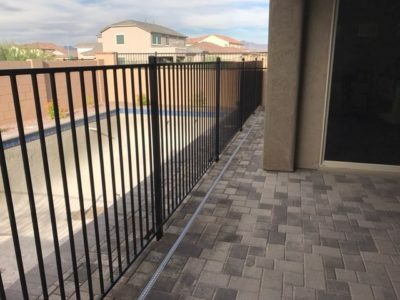 Arizona Pool Fence iron fence can be installed on any surface and we do offer curving iron fence to follow most pool configurations.